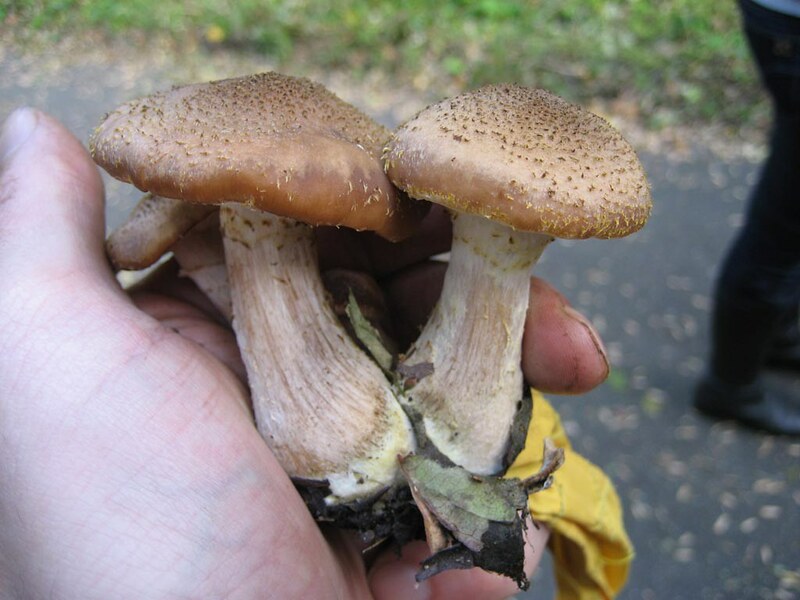 Note: This post is not intended to be a field guide to foraging your own wild mushrooms. If you decide to forage, please do so with a professional. Don’t take risks — it’s not worth it. 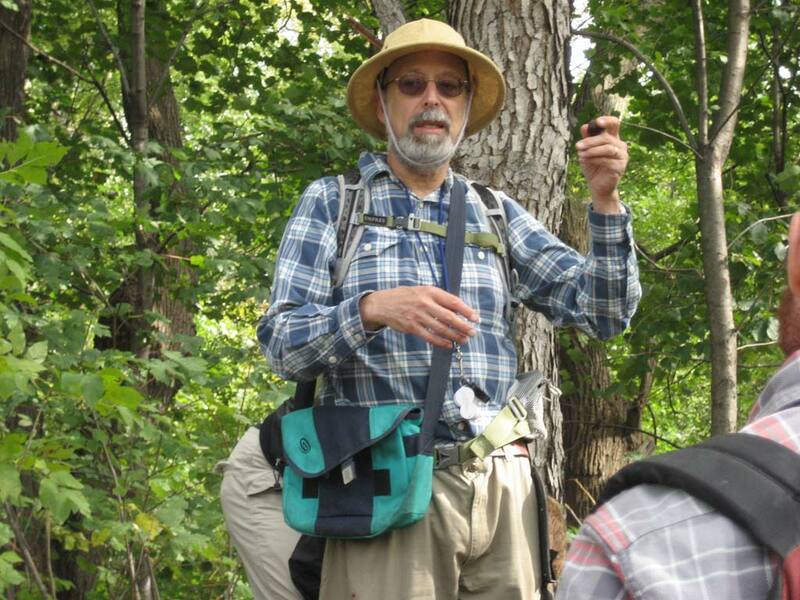 Long-time readers of this blog know that I’ve gone on two foraging tours with “Wildman” Steve Brill — once in Prospect Park, once in Central Park — and I’ve had a good time. One of the things that has disappointed me, however, is the fact that we never found any edible mushrooms. That all changed on my third tour, on a late October Saturday after a week of rain. Do NOT use this photo for real-world mushroom identification. The mushroom we found the most of was the honey mushroom. Honey mushrooms can be found on old rotting wood — that’s because the honey mushroom kills trees and brings them toppling down to the ground. If not cooked the honey mushroom can bring a person down too, but after 15 minutes of cooking, the “Wildman” told us, they are great. I collected a brown paper lunch bag full of them, as did many of the other people on the tour. Note: our guide approved each and every mushroom that we gathered. Much harder to find was the giant puffball mushroom. These look like giant styrofoam footballs, scattered randomly throughout the forest. If they are pure white all the way through they are good to eat — you can even eat these raw. Raw they tasted a little like regular button mushrooms, but with a light and airy texture. A very unusual experience. 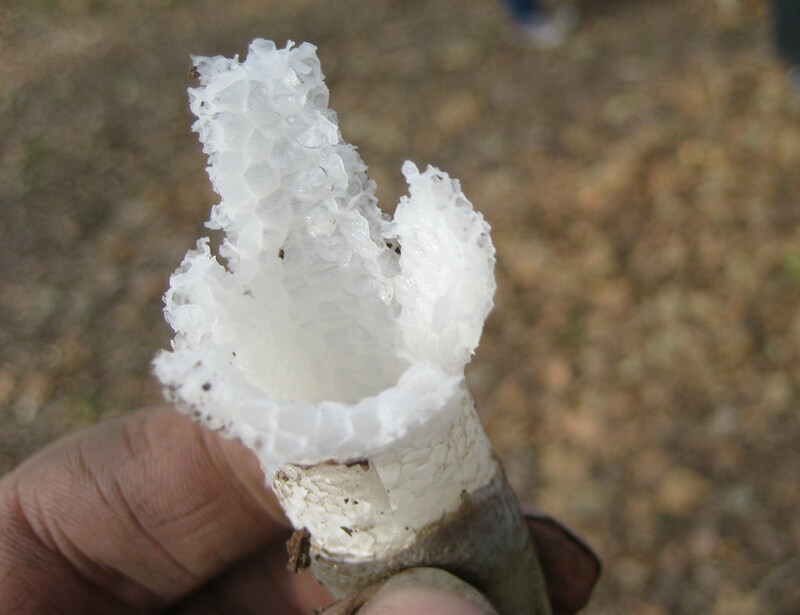 Towards the end of the tour we came across something that I’d seen on Bizarre Foods: the stinkhorn mushroom. Although these mushrooms are edible, and are eaten in Asia, “Wildman” assured us that they were actually pretty gross and not worth our time. I do like the look of the honeycomb interior. When I got home I had an email from my friend Scott that he wanted to put together an impromptu potluck dinner that night. I emailed back that if people were willing to eat them, I was planning to cook the mushrooms I’d found that day. I started with the honey mushrooms, since they need to be cooked for 15 minutes. 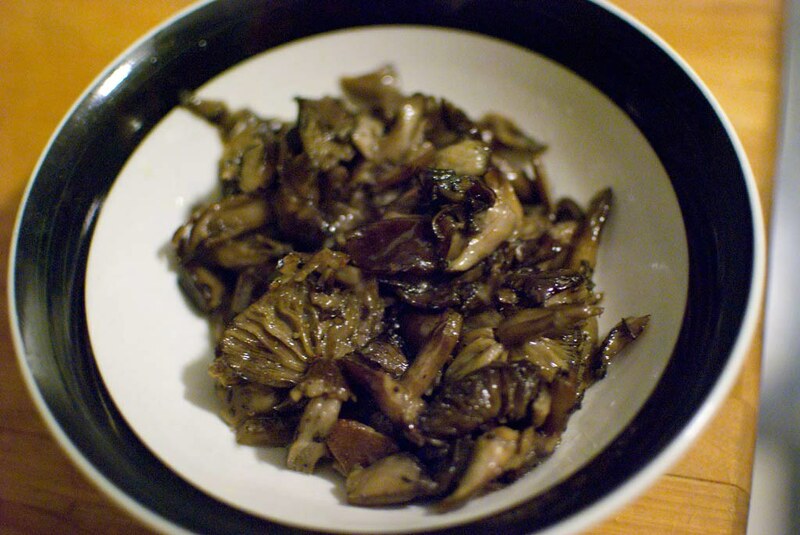 I trimmed and cleaned the mushrooms, and then started them cooking in olive oil. 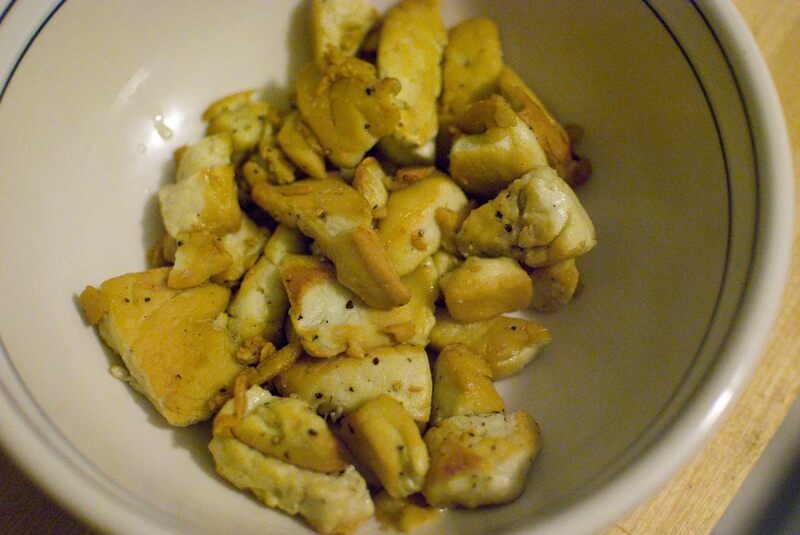 I seasoned them with salt and pepper, and added some dried thyme. Next I started on the giant puffball. I had this giant chunk of mushroom and I needed some guidance on how to even go about preparing it, so I went online. I saw that people were cutting them into strips, so that’s what I did. Then I just sauteed the strips with salt and pepper. 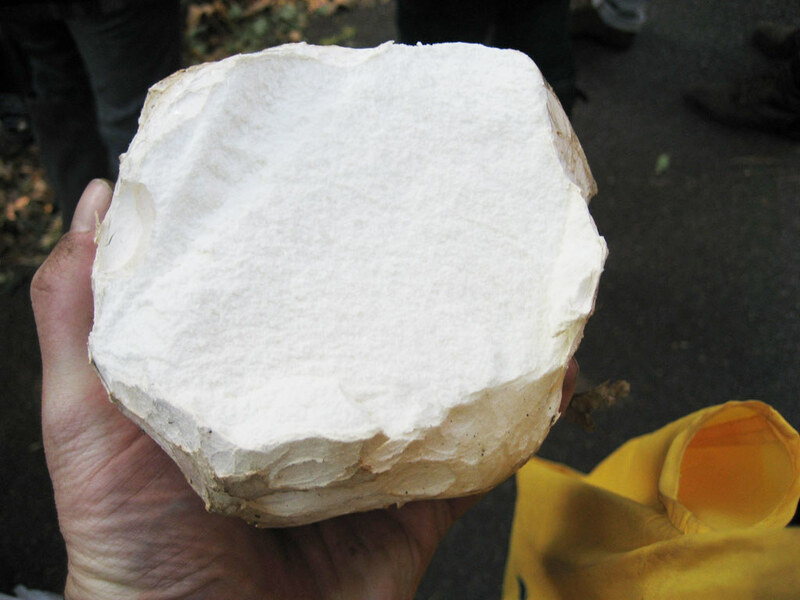 Like most mushrooms, the giant puffball lost a lot of volume, and as it browned it looked like tofu. I tasted a piece and was blown away — the texture was also similar to tofu, and it tasted amazing. After the honey mushrooms had cooked for a long while, I re-seasoned and added a few splashes of red wine vinegar, and then let it finish cooking. I thought these were only okay, not bad but nothing special. I much preferred the giant puffballs. The potluck was a lot of fun, and to my surprise just about everybody was willing to try the foraged mushrooms. I think that we have, to a large degree, lost touch with the kind of knowledge that was essential to our ancestors. That’s not always a bad thing, of course, but when it comes to food maybe we can all use a reminder. Personally I have an interest in the food that can be found around us. Although I feel like I could identify the mushrooms we found on the tour, I’m still not confident enough to go foraging on my own for something that could kill me. Hopefully I’ll have the opportunity to learn more soon.